The UNEVOC Network is UNESCO’s global network for institutions specialized in Technical and Vocational Education and Training (TVET), which are concerned with skills development for the world of work and life. 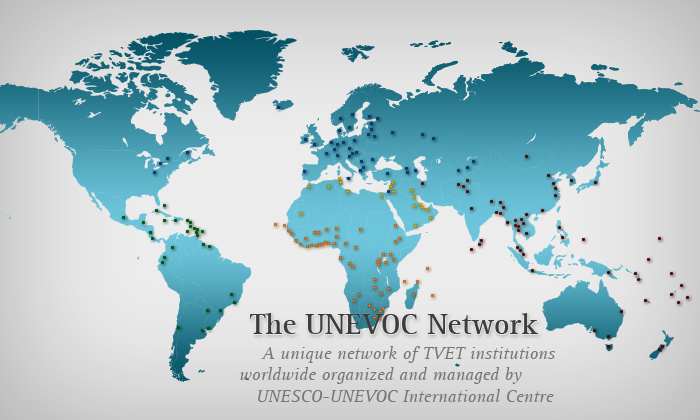 Coordinated by UNESCO-UNEVOC, the Network provides an environment for exchange, cooperation and mutual assistance for its members, the UNEVOC Centres. Members of the UNEVOC Network engage in a variety of activities, e.g. to share promising practices and innovations in TVET. Explore the UNEVOC Network Portal to reach out to them. Information on the general rules of engagement of member institutions are provided in the UNEVOC Network Manual of Operating Procedures. Are you already a member? Manage your membership through your dashboard.